On 18 December 1892 the Mariinsky Theater in St. Petersburg premiered a Tchaikovsky double-bill consisting of the one-act opera Iolanta and the ballet The Nutcracker. While the ballet became one of the composer’s most popular works worldwide, Iolanta (or more exactly Yolanda) never gained firm ground outside of Russia. And yet, when you hear an inspired performance of this unconventional opera, like this new live recording with Anna Netrebko in the title role, you realize there is still plenty of light to be gained from obscurity. 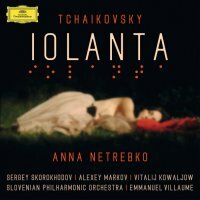 The Russians, and Netrebko in particular, who is the driving force behind this Iolanta, have known all along that Tchaikovsky’s final opera is a unique gem that craves to be better known. There are some memorable old recordings, including Mstislav Rostropovich with Galina Vishnevskaya and Valery Gergiev with the Kirov and Galina Gorchakova, yet this new one goes right to the top. This is foremost a magnificent tour de force from Anna Netrebko, shedding off her star status and going for the essence. She deserves all praise for her utterly complete identification with the title role – something which is neither obvious nor easy. Yet the character clearly triggers a special emotional response from Netrebko and every nuance is rendered with disarming sincerity and love. “The music is a source of joy”, as she points out, and we can gladly add so is her singing. 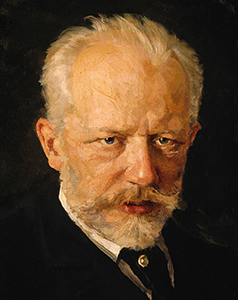 This is happy Tchaikovsky for once – although less than a year after the premiere the composer would be dead. But it’s also profound and poetic Tchaikovsky and the simple story of a blind medieval princess regaining her sight through love is musically sublimated by a continuous (and really uplifting) quest from darkness to light. The remainder of the international cast, as well as the Slovenian Philharmonic Orchestra under the French conductor Emmanuel Villaume, may be totally unknown, but nothing is missing. Sergey Skorokhodov as the knight Vaudémont who falls in love with Iolanta and Alexey Markov as Robert the duke of Burgundy, are excellent singers from the Mariinsky troupe, and there is a remarkable performance by the American baritone Lucas Meacham as Ibn-Hakia, the Moorish physician summoned to cure the princess. Emmanuel Villaume revives this gorgeous score with finesse and detail. As a closing note, the Paris Opera schedules a staging of the Iolanta/Nutcracker double bill in March 2016, in a new production supervised by Dmitry Tcherniakov. Sonya Yoncheva is cast as Iolanta. Categories: CD reviews | Tags: Anna Netrebko, Dmitry Tcherniakov, Emmanuel Villaume, Galina Vishnevskaya, Iolanta, Lucas Meacham, Marc Haegeman, Mariinsky Theater St. Petersburg, opera, Piotr Ilyitch Tchaikovsky, Romantic, Russian opera, Sergey Skorokhodov, Slovenian Philharmonic Orchestra, Sonya Yoncheva | Permalink.